Samantha Kingston (Zoey Deutch) has everything: the perfect friends, the perfect guy and a seemingly perfect future. Then, one fateful night, everything changes, leaving Sam trapped - forced to relive the same day over and over again. As the day repeats itself, Sam begins to question just how perfect her life really was. Can she make a difference in her life and the lives of others in a single day? Will this set her free? Before I Fall is a mash-up of Groundhog Day and Mean Girls with a sprinkling of Brian De Palma’s Carrie thrown in for good measure. Ry Russo-Young's melancholic film (an adaptation of the best-selling YA novel by Lauren Oliver), uses a live, die, repeat premise to explore (in a pretty non-threatening manner) several tween/teen-relevant issues. The movie follows a group of rather bland, over-privileged girls. At the start it is hard to invest in (or even like) any of them. Everything - from the houses they live in to their overly coiffed hair - feels too stylish, too perfect. 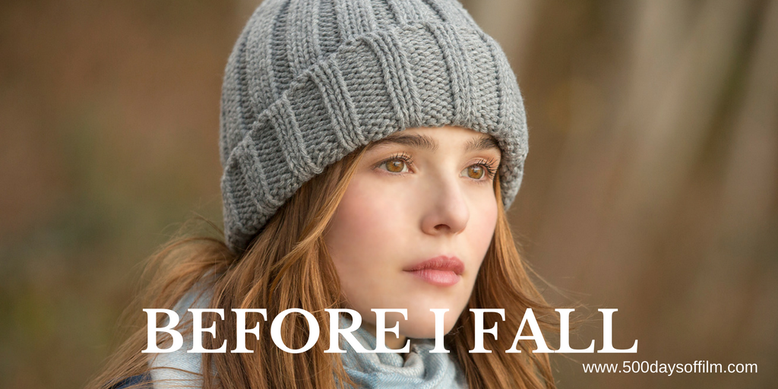 However, when Before I Fall reveals its serious, emotional heart, it becomes a far more engaging prospect. Of course, this film cannot hold a candle to the movies to which it refers. Nonetheless, Zoey Deutch gives an impressive performance, holding everything together until Before I Fall’s surprisingly powerful end. All in all an agreeable, if not particularly memorable, Netflix watch. Have you seen Before I Fall? If you have, what did you think of this film? Let me know in the comments section below or via Twitter or Facebook.